July 8, 2015 / Why Influencer Marketing is a Must! As the digital marketing landscape continues to evolve, social media content and a growing follower/fan base is not always enough to keep brands engaged with consumers. Developing a rapport with social influencers is becoming an integral component to branding, marketing, public relations and social media campaigns. The benefits of influencer marketing are varied: increased brand recognition, product endorsements, and influence from credible and knowledgeable sources about a product or service. While the end results are clear, the starting point can be daunting. With 936 million daily active users on Facebook, Instagram’s 300 million monthly active users, and 500 million tweets being sent a day, identifying potential influencers can take considerable time and requires a well-developed strategy to be successful. One of the most important things to remember is that having a following does not always translate to having an influence. The much-needed component of credibility and relevance is essential to engaging with influencers. This isn’t to say that a person with 1.5 million Twitter followers doesn’t have reach or influence, just that he or she might not make sense for your brand. Take M studio’s client Winsor & Newton for example. As one of the art material industry’s oldest and most distinguished brands, the company’s efforts are driven by its extensive history and ongoing commitment to innovation. As such, developing new product to meet the needs of today’s artist is of utmost importance to the company. One of Winsor & Newton’s most recent product developments is the addition of water colour sticks, markers and paper to its sought-after, light-fast water colour product range. 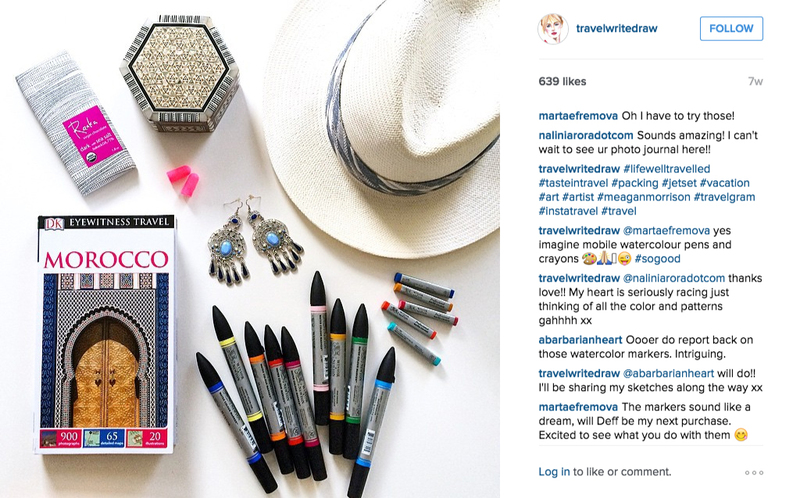 In addition to traditional marketing strategies that included print and online advertisements, public relations and social media promotion, Winsor & Newton is working with M studio to assist with social media influencer outreach and the product seeding of the new water colour sticks and markers. By researching artists and illustrators, and gaining an initial understanding of their work, process and preferred mediums, M studio’s creative and communications teams conduct outreach and secure seeding opportunities on behalf of our client. The result is a colorful mix of Instagram posts and Facebook videos from talented artists who not only adore the new product but have a strong loyalty to the Winsor & Newton brand. This, in turn, engages the artists’ audiences and amplifies the reach of the product and its message. The artists themselves are leaders and innovators in their field, which makes for a fruitful collaboration for everyone involved. Playing with @winsornewton_usa’s new watercolor markers and sticks. So much fun, but I’ll always love classic watercolor paint! / ? Rosie by James Newton Howard. Define your audience and determine the best way to reach them. Identify potential influencers who align are aligned with both your brand and audience. Contact influencers and determine the best ways in which you can work together. Facilitate product requests and provide all necessary brand/product information to your influencers. Be patient. From research to list building and mailing out product requests, social influencer outreach takes time but your results will be well worth it.